We Heart: Chuck Taylor Sneakers – I Heart Hair, Inc. Looking for an inexpensive sneaker that goes with just about anything. Try a Chuck Taylor sneaker! 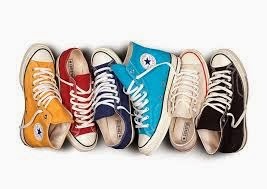 Chuck Taylor's come in a variety of styles and colors. Here are a few of our favorites.